The 2015 Festival of Landscape Architecture: This Public Life will explore public life through three key lenses: Life + Death, Love + Longing and Participation + Spectacle, encourage interdisciplinary awareness and enhance the public’s understanding of landscape architecture. presentations by, and conversations with, thinkers and practitioners from landscape architecture, architecture, the arts, sciences and engineering. 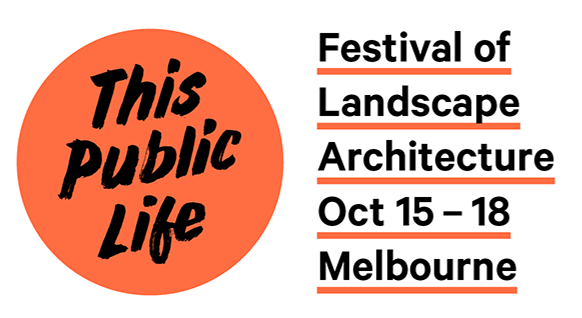 This Public Life Festival will be presented from 15 - 18 October in Melbourne, with a program including a landscape architecture conference at Federation Square, research summit, awards night, opening party, design competition, exhibition, tours and film screenings. Friday 19 June, 2015 & 20th June, 2015. The festival will see Latrobe Valley transformed with a series of site-specific and non-site-specific projection artworks, on and inside buildings, performances . live music and food and design markets. The garden party starts at 10.00am on the sunday where we will be giving away sunflowers and hunting for easter eggs.